The Zabbaleen, Cairo’s garbage people, call themselves “the nothings.” And yet, without them, Cairo would drown in it’s own garbage. The Zabbaleen transport the tons of waste they collect door-to-door to their slum neighborhoods and then sort through it in order to find items to sell to recyclers. They feed any organic waste to their pigs. Most families are able to eke out a subsistence living of only a few dollars a day. Life is hard for the Zabbaleen. 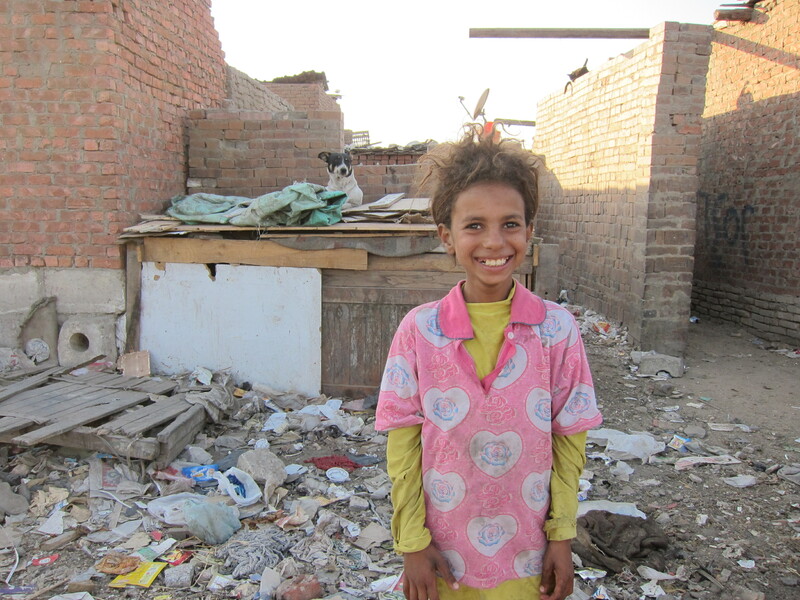 As many as 90% of the Zabbaleen are Coptic Christians. They work extremely hard under very difficult conditions. In order to survive, every member of the family, including children, must lend a hand. Children of the Zabbaleen generally do not have opportunities to go to school. Without an education, these children are destined to remain trapped in a vicious cycle of generational poverty. When I first learned about the plight of the Zabbaleen, God touched my heart to lead our missions ministry to engage with them. Our desire is to give the Zabbaleen a hand-up and a way out of poverty. Last year, the kids who attended our Vacation Bible School raised funds to build a school for Zabbalen kids. Our national partners secured a piece of property in the middle of a Zabbaleen village where we recently completed construction of our school. We also set aside one room at the school to serve as a clinic. This small clinic is the only medical facility for the people of the village. This morning I received a report from Farhan, our national partner, on a recent medical initiative at our clinic. Farhan arranged for an optical clinic to serve the people. 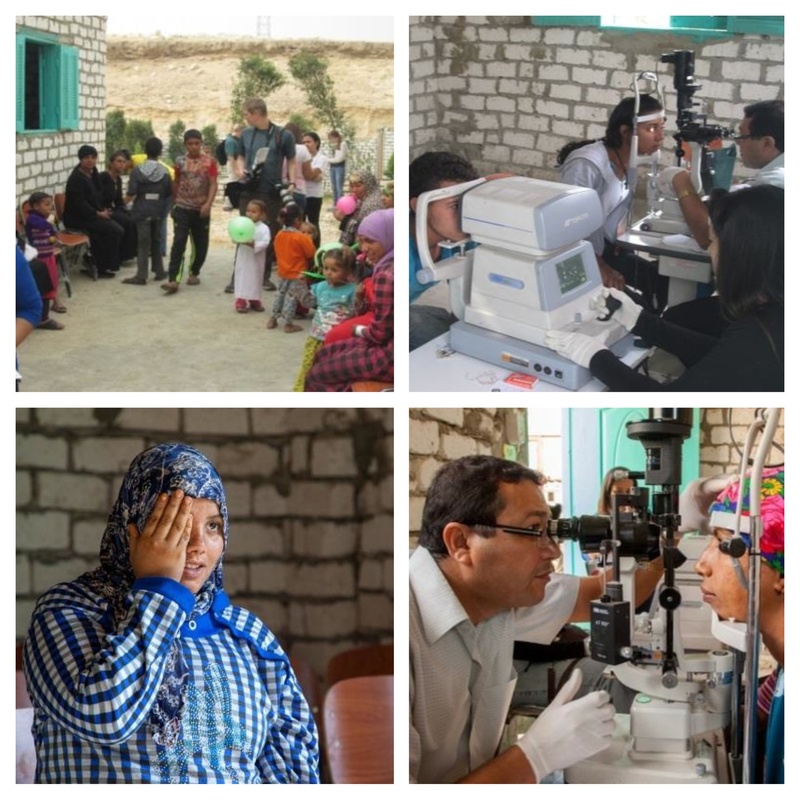 A total of 85 people visited the clinic to have their eyes examined. Many received new glasses and a few folks will require more extensive treatment. In the coming weeks, Farhan will schedule other medical initiatives to help the people. In January, David Budke, our missions ministry’s point man for our Zabbaleen work, and Pastor Ryan will travel with me to Egypt to officially dedicate our school and clinic. Our partners from Global Hope will also join us for this special occasion. Please pray for the children who attend our school and those who will be served through our medical initiatives. Because of our good work in this village as the hands and feet of Jesus, we trust that the next generation of Zabbaleen kids will take their first steps out of poverty toward a brighter future.